Daryl Johnson (Worcester Park, United Kingdom) on 11 October 2016 in Business & Industry. 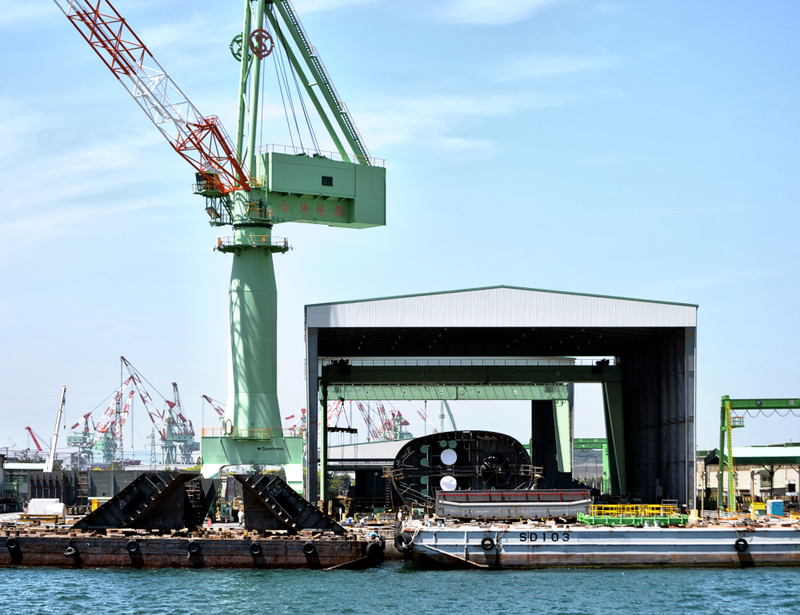 Leaving Marugame port, the ferry passed shipyards, where massive sections of new ships were being constructed. such beautiful frame, colors, lights, shadows & graphics!